Apple has officially seeded OS X Yosemite 10.10 Public Beta 2 (Build: 14A329r), iTunes 12.0.0.97 (Build: 0.0.97), Pages, Numbers, Keynote Applications Update for Mac and iOS Devices i.e. iPhone, iPad and iPod Touch. Apple OS X Beta Seed Program subscribers can get all the latest software releases instantly. Get all direct download links, images and features details below. The Direct Download Links of OS X Yosemite 10.10 Beta 2 (14A329r) Setup Installer, iTunes 12.0.0.97, Pages 5.2.2, Numbers 3.2.2, Keynote 6.2.2 Update .DMG Files are available below. Apple has released the second public beta version of OS X Yosemite 10.10 with slight change in "Build Number" (14A329r, up from 14A329f), as compare to the sixth developer preview version released to developers earlier this week, however no major changes in features and functionalities noticed, Mac users can considered both as similar updates. 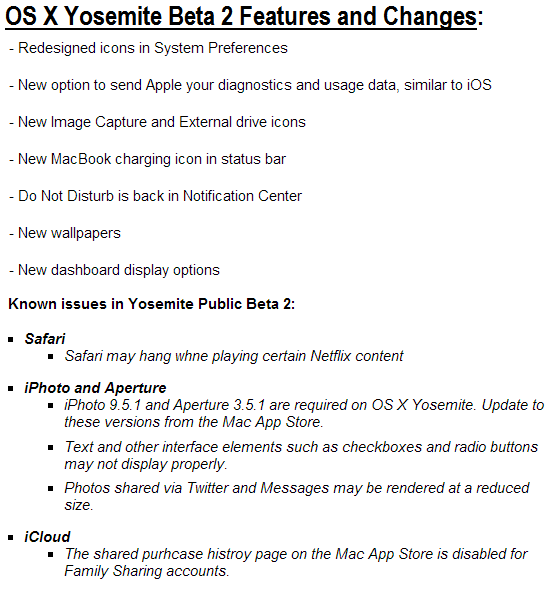 You can read the full official changelog of OS X Yosemite 10.10 Public Beta 2 (Build: 14A329r) in below image. 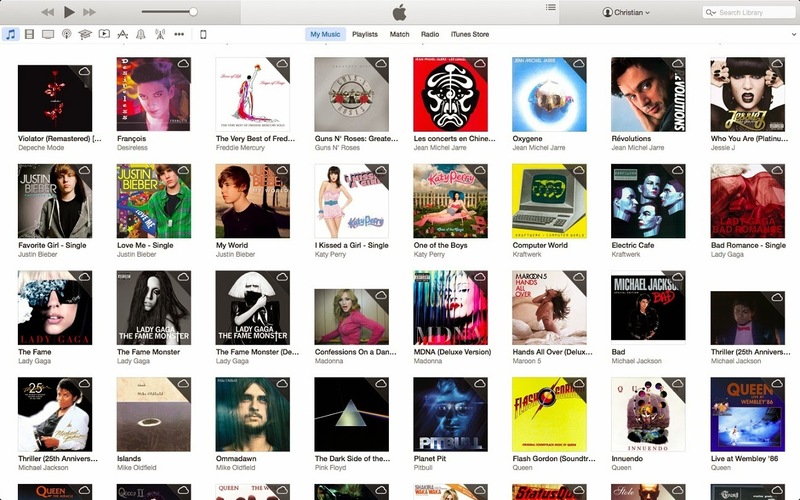 An updated beta version of the redesigned iTunes 12 has also released by Apple, which includes some new features, functionalities, icons for music, movies, TV shows, recently added view for all albums and lots more. 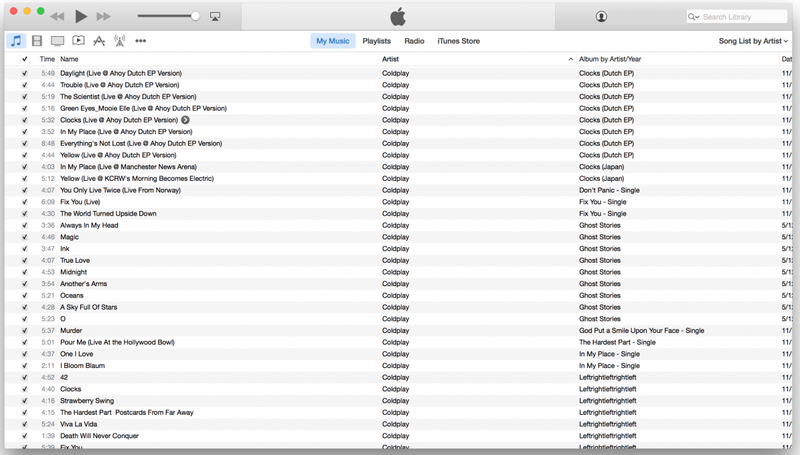 The latest available iTunes 12.0.0.97 (Build: 0.0.97) has more improved clean design and look as compare to its previous version i.e. 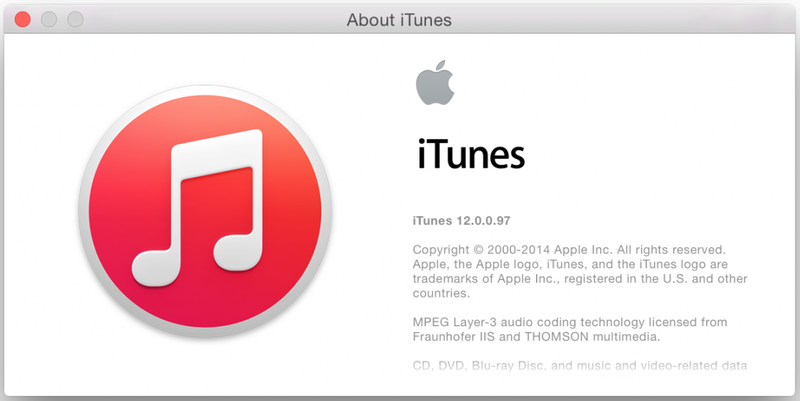 iTunes 12.0.0.81 (Build: 0.0.81). 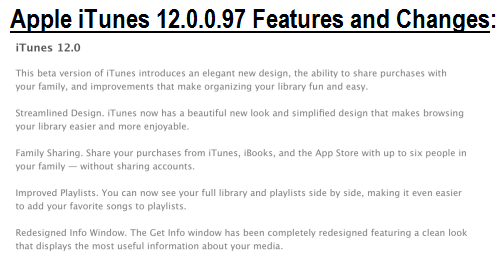 You can read the full official changelog of iTunes 12.0.0.97 (Build: 0.0.97) in below image. 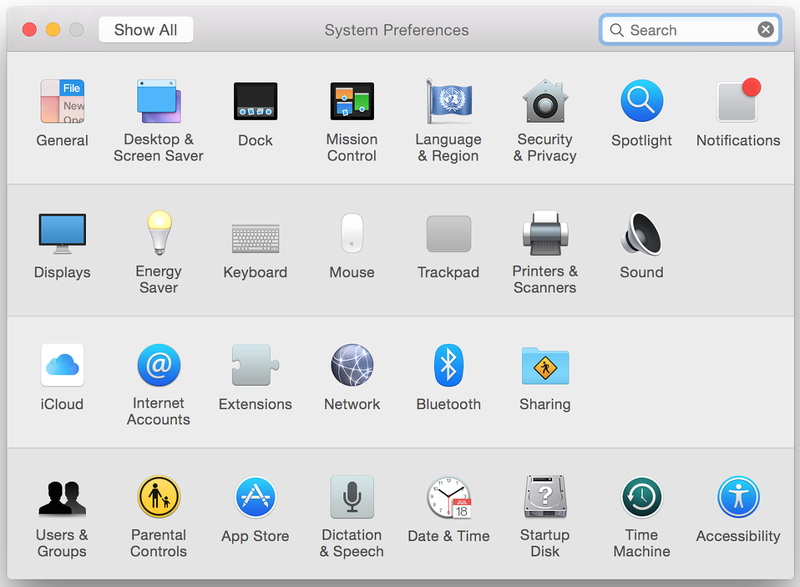 How to Manually Install OS X 10.10 Yosemite Public Beta 2 Update? All Mac OS X non-developers and subscribers of OS X Public Beta Seed Program of Apple can download OS X Yosemite Public Beta 2 (Build: 14A329r) Update manually through the Mac App Store via redemption promo code mailed by Apple. If you're not a subscriber, then become a official member of OS X Beta Seed Program Now! If you're running an initial OS X Yosemite Public Beta 1 (Build: 14A299l), then you can upgrade / update to latest available version via Mac App Store >> Software Update option. No restore or reformat will be required. Apple iDevice users can also Download OS X 10.10 Yosemite Public Beta 2 (14A329r) Standalone Setup Installer .DMG File for manual installation via Bootable USB or Bootable DVD, iTunes 12.0.0.97, Pages 5.2.2, Numbers 3.2.2, Keynote 6.2.2 Apps Update .DMG File via Direct Links for Free without any cost.